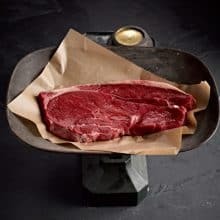 Wonderful Venison Steaks are a particular favourite of the Game & Exotic meats you can get these days. 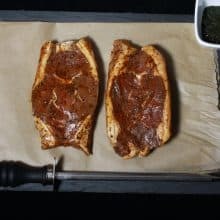 High in protien and low in fat Venison makes a healthy different option than Beef. 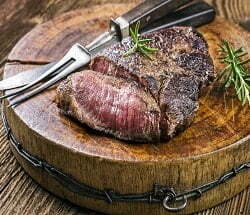 Our Venison is sourced in Europe and it is very tender & tasty. 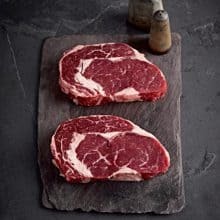 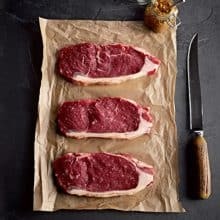 Each steak weighs 225g and is individually vaccum packed this helps not only to seal in the natural juices & stop the meat from going dry but is great for easy freezer storage too.